What 5 million guns sold look like? Rumor has it that in the last 2-3 months that approx 5 million firearms will have been sold. 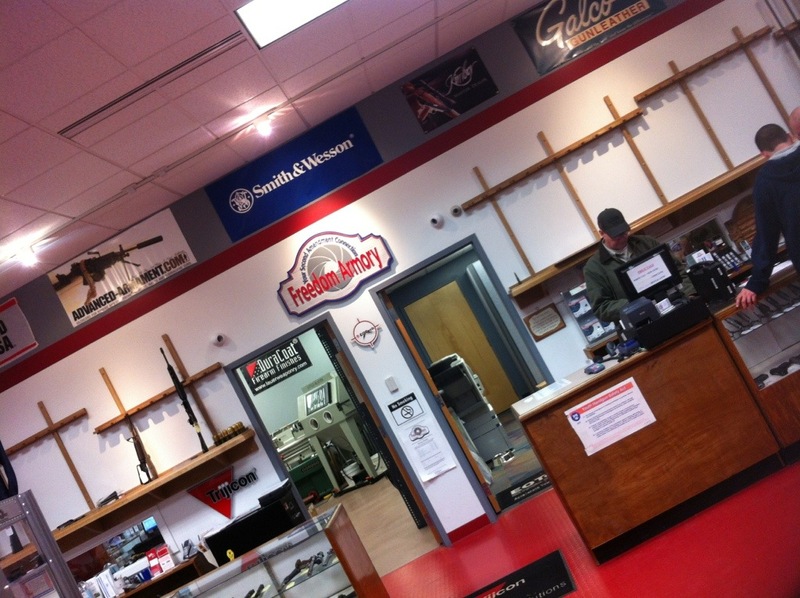 Freedom Armory tends to be one of the more well stocked firearms dealers in the area. And I do not think I’ve seen the shelves ever this bare. 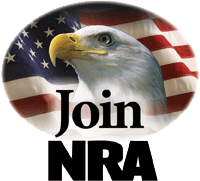 Shoot a Handgun or Rifle for the First time FREE! Freedom Armory, in affiliation with the National Shooting Sports Foundation (NSSF), is offering the opportunity to experience shooting a .22cal handgun or rifle FREE of charge! FREEDOM ARMORY MEMBERS, if you have friends and family members who may have expressed an interest in the shooting sports but who never had the chance or the time to try shooting, THIS IS THEIR OPPORTUNITY! THIS PROGRAM IS SPECIFICALLY FOR NON-SHOOTERS TO EXPERIENCE FIRING A GUN FOR THE FIRST TIME! The First Shots Program provides a brief introduction to shooting safety in a classroom setting, the firearm, eye and hearing protection, a small quantity of ammunition, a target and supervised indoor range time at Freedom Armory. All free of charge! REGISTRATION IS REQUIRED so that an adequate number of firearms are available for each session. The type of firearm featured each of the Saturdays will be directly related to registration requests and may vary. ALL participants must be at least 18yr of age or at least 12yr of age with a parent present and MUST sign a Liability Release form prior to the session. A valid picture ID, such as a Driver’s License or School ID for minors, will be required for registration on the day of the program. UPCOMING DATES are Saturday, October 23rd, and November 20th at 10:00AM! And will continue each month. Please Call Freedom Armory at 717-227-9060 or email to training@freedomarmory.com to reserve your space for a specific date and type of firearm! ALL OTHER WEEKS 6:30pm START TIME ! Non-League participants are not required to have a hip holster. League winners determined by the best four of the six weekly scores. If time allows, League participants may choose to drop their current score and re-shoot the week’s course of fire for an additional $20.00 fee. League prizes will be cash pay out. Why choosing a good instructor is important! When I became a handgun owner I entered into a world of new responsibility. I made the determination to get proper training. Since that time, I have taken a number of NRA training classes. I found an instructor at Freedom Armory, a local range, that I found to be both competent and who’s personality I enjoy. The first is extremely important, the latter is beneficial as you will learn more if you like your instructor. Freedom Armory was not the first place I looked into taking the NRA course at. However, the owner and instructor at the first place I inquired about taking an NRA class did not instill confidence in me. So I delayed the taking of my course and decided to take it elsewhere. Ieventually paid a few extra $$$ to take the course at Freedom Armory. I believe such was one of the best decisions I made in my training. Just because someone is certified does not always mean they are competent nor safe. As this news article sadly shows. Where a student in a concealed weapons class was negligently shot in the face by the instructor. During the recent winter league competition at Freedom Armory we shot Kenn Blanchard’s “Zombie Targets”. These went over really well and were a lot of fun. Here were the shoots…little “Susie” survived most of us. But a few of us (including myself) put rounds right into her skull cap. This will be the fourth course in NRA Pistol designation. Looking forward to sharing with all of you. This is a pretty new course from what I understand. Only recently implemented by the NRA. Success!!! This week in shooting league! Last week I had an after-work conference and was unable to participate in the league. I was really disappointed with my performance the first week, and the technical failures that ensued. I had gone in excited and expecting, not expecting a win or anything, just expecting a smooth performance and hoped to get most of my shots off. This week, I went in just hoping for a better shoot than the last one…. We did a simple shoot from behind cover (cover being a wood board erected to simulate a wall/barrier). 6 shots to the right, reholster, followed by 6 shots to the left. We did this four times at different distances, I think as far out as 40 yds, shooting at Bianchi Cup targets. I think this is the first match that I might have landed all my rounds on target. And while I didn’t place in the upper crust, I was pleased to place in the middle of the pack – as opposed to the bottom of the barrel. It was just a joy that everything went smoothly, no technical failures, no human failures. The new holster worked far better than my old nylon one. There is definitely room for improvement, but now my focus is on procedures and shooting (draw, aim, fire, recover, reload, reholster). If I were to lay any criticism on this week’s shoot, it’d be the fact that I didn’t walk away with some dawning revelation to offer my readers as I have done in most of my previous competition nights. Sorry, this shooting night, I simply learned that there is hope to succeed. Recently I realized that I never posted a review of the NRA Basic Home Defense course I took a few months back. I apologize, both for my failure to post a review and for the fact that I do not remember it in as vivid detail. So I will share some of the highlights I do remember. This was the 3rd NRA course I took at Freedom Armory, and also my favorite. We discussed a fair amount about mindsets. The fact that you need to be prepared to shot. Predators who don’t believe you will shoot will likely attempt to attack you and turn the tables. We discussed cover versus concealment. What objects in your home can provide limited cover (bookcase) and what merely provides concealment (ie: couch). I also noticed that my shooting had improved greatly by this class. Even though we did a lot of alternative shooting. We shot from around and behind a wooden board. We shot in the dark/low light utilizing flash lights (which was really cool and insightful). We also did some experimenting with point of aim at short ranges. Where our instructor had us mis-use the sights, angle the gun until we couldn’t see the front sight because it was too far to the side or too far up or down. And how we still hit the target and very short ranges. This was insightful. While it was clear that using the sights is far more accurate. At a mere couple of yards all of our shots were on target. We also did speed drills where we were to bring up the pistol rapidly and fire as soon as we saw the front sight on the target. It was also the first time I had an opportunity to use my laser sight; during the low-light shooting. I must say, it enabled me to put a round right in the center of where the head of the target would be.